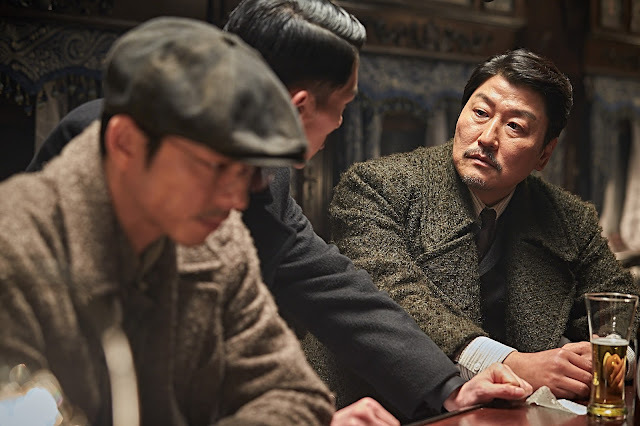 Korean theatres have become inundated with films set during the Japanese Colonial period over the last few years but all are put to shame by The Age of Shadows, Kim Jee-woon's mesmerising return to home soil after directing Arnold Schwarzenegger in The Last Stand. The film also marks a strong start for Warner Brothers in the market, financing a Korean production for the first time. An engrossing tale of action and intrigue, The Age of Shadows features top local actor Song Kang-ho has a former resistance sympathiser who has switched allegiances to become a police captain for the Japanese occupiers in 1920s Seoul. 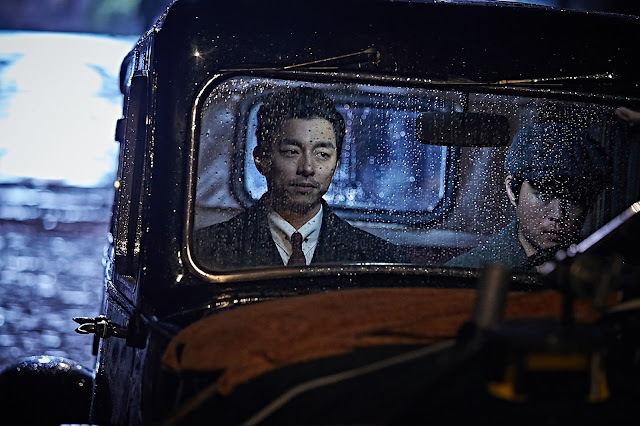 While seeking to foil a bomb plot, he comes into contact with a charming arts dealer connected to the resistance, played by Train to Busan's Gong Yoo, while an unhinged Japanese subordinate begins to doubt his loyalty. The film's Korean title, 'Miljeong', simply means 'Secret Agent' while the foreign title hints at the film's stylistic approach, namely by recalling Jean-Pierre Melville's WWII resistance drama Army of Shadows. Its brooding tone, ample double-crosses and some visual cues point to the French masterpiece, while with several others influences, from the quick 70s Hollywood camera zooms and Sergio Leone's tense stare-down closeups to John Woo's HK-era gunplay, Kim brings to bear a dizzying panoply of visual styles which blend into a seamless and invigorating whole. Kim Jee-woon's unique skill has always been to take something ordinary and elevate it not only through his deft command of mise-en-scene but also his ability to twist a new image out of the familiar. In this latest work, for example, a nun furiously cycling to composer Mowg's clanging guitar score and dashing through a corridor as the camera follows her billowing veil turns a standard scene into a striking one. In another sequence, modelled after the execution montage of The Godfather, shadowy figures in a dark room are illuminated when bolts of daylight punch through fresh bullet holes. While based on some Colonial Era events, Kim's focus is not historical veracity. This much is clear from the pulse-raising opening, when scores of Japanese soldiers dash across the roofs of nighttime Seoul. The Age of Shadows is an expert exercise in period espionage that mines its Colonial Era setting for stylistic potential and commercial gain, timed with the recent wave of hits set at the same time, including Choi Doong-hoon's Assassination and Park Chan-wook's The Handmaiden, another stylish romp not concerned with political statements. Song does typically fantastic work, effortlessly drawing out pathos and a surprising amount of comedy from his conflicted protagonist. As for Gong, he takes on the most challenging role of his career and delivers his best performance, yet can't quite level up to his more talented co-star. After years in supporting roles, Um Tae-goo, as Song's despicable Japanese adversary, is sure to enter a new stage of his career as he venomously bristles in his show-stopping and disquieting turn. Lee Byung-hun is imposing and charismatic in an extended cameo and leads the film's funniest scene, an early morning drinking session. Han Ji-min on the other hand, as one of resistance fighters, fares worst among the cast, with a strained performance in a character that is underwritten, underscoring Kim's difficulty with female characters. While director Kim may be the conductor, his stable of long-time technical collaborators each provide essential contributions, including the shades of gold and black from Kim Ji-yong's vivid cinematography, the tense twangs of Mowg's pulse-raising score and the intricate details of Cho Hwa-sung's lush production design. All frequently combine to remarkable effect, especially in a lengthy and absorbing central train sequence that calls to mind another Melville classic, Le Cercle Rouge. 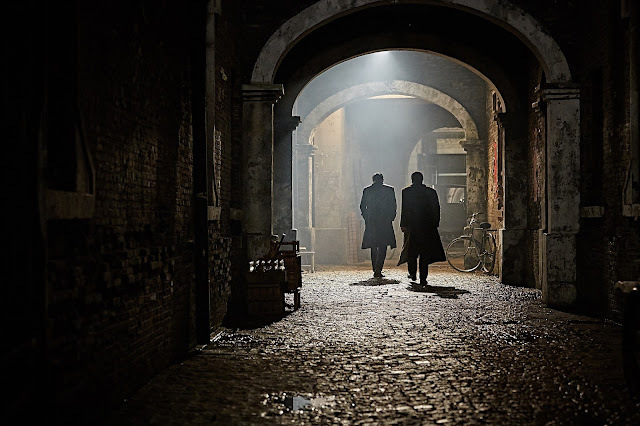 Wading into an already crowded field of top Korean thrillers in 2016, Kim Jee-woon's The Age of Shadows is a gripping thriller and a dazzling technical display that stands as the genre maestro's most confident work to date.